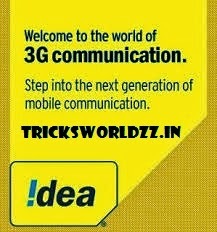 Presenting you a new idea 3g vpn udp based trick for you all, as you know not many ticks are working nowadays, so we are unable to share tricks with all on frequent basis but not ti worry at all we are here for you you will never get disappoint or get upset due to tricks or some thing like that because we are trying to keep backing up some of the working tricks for future to share with you all , although currently at my knowledge are Airtel 3g tcp based trick , Airtel 3g opera mini pc trick , aircel 3g tcp vpn trick, bsnl bbm trick 3g vpn , Reliance 3g tcp based trick , but the circle matters where are you now or which state sim you are having with you , may be all the above trick can work for you or not even a single trick will be working at your circle then its a bad luck for you , then should try to manage the sim card of other state to get working tricks. More tricks can be found in our blog just see recent posts or popular posts you can get the working trick form there , for any help related you can post your comments below i will respond if your problem will be genuine. Hey sam what do you mean: "If Not working Kick off Idea and Use Bsnl BBM"
kha par confirm wrkng h ye trick ?? thanks sam bhai your every trick works.bro plz upload recharge code generator for indian network.